owners brushing up their technique. At Bedford-Dianella Vet Centre we are advocates for the health and welfare of animals. As dedicated vets and nurses we’re committed to providing you with the best information so that you can make the right decisions for your pet’s health and wellbeing. We love animals. Our friendly team of vets and nurses genuinely enjoy working with pets and their owners. Our ‘small practice’ culture ensures your pet receives unrivalled care. We treat them as if they’re our own – with compassion and healthy doses of TLC! 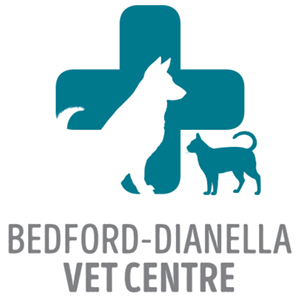 At Bedford-Dianella Vet Centre you can be assured of almost always seeing your particular vet at every visit. As pet owners you also receive our utmost attention because we understand how distressing it is when your pet seems unwell. That’s why we always take the time to fully discuss their problems and provide you with detailed fee estimates and options for effective treatment plans. Our modern and bright examination rooms, radiology suite and surgical theatre are fully equipped to cater for all your pet’s health and medical needs under the one roof. You’ll find helpful information about pet health care here on our website. For more information, please call or pop in to meet us. Best vet centre I have ever encountered. All the staff are professional, helpful and friendly. A special thanks to Dr Louise Beveridge for always being exceptionally patient with my excited tubby little sausage of a dog and also my never ending questions. Could not recommend this place more for the kind and top quality level of care they provide. Everyone at Bedford Dianella are AMAZING!!! A special thank you to Dr Susan, she is such a wonderful Vet and my baby couldn’t be in greater hands, she truly goes above and beyond! And also all the ladies at the front who are always happy to answer my 100 questions! I am very pleased with the way Pedro is looked after and Louise was very intuitive when Pedro was unwell recently and averted the potential possibility of me losing him. Despite all that happens to him including the “yucky” regular stuff  he is not afraid of going, he loves all the staff especially Louise. That alone tells me how well they take care of him. A million thanks! Thanks to all of the staff involved in the first aid training tonight. I recommend this to anyone that has a dog. Thanks for giving up your free time ladies. It was really appreciated. Ernie actually loves coming to the vet. He loved puppy school, and because of that positive experience, he can’t control himself even when we are just walking by. All of the staff are lovely, and go above and beyond to help out our furbabies. First time dog owner to a 10 week old Shar Pei and brought him in for his 2nd vaccination and microchip. All my fears were eased by the lovely vet and a full explanation given to advise me what to look for if anything goes wrong. Definitely found Beli’s clinic. Can’t recommend them highly enough. Thank you for taking such wonderful care of my Maggie Moo! Her teeth are so nice and clean I am sure she is wanting to show them off to everybody! I can’t recommend this clinic highly enough!